Test & Measurement for Government, Aerospace and Defense | VIAVI Solutions Inc. The VIAVI Solutions team that serves Government, Aerospace and Defense customers is proud to offer solutions that drive efficiency and reliability for the entire lifecycle of service deployment with highly skilled tools that ensure solid, accurate performance. 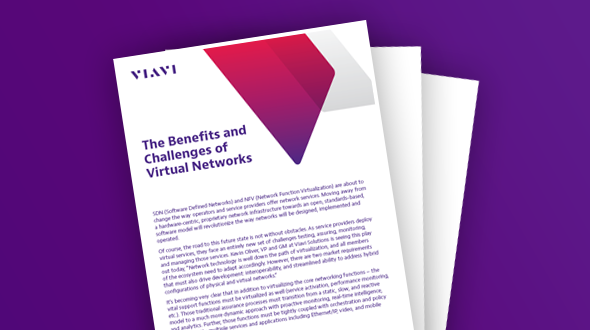 This paper examines how the road to virtualization is promising but not without obstacles. As virtual services are deployed, they introduce an entirely new set of challenges testing, assuring, monitoring, and managing those services. InterferenceAdvisor allows one RF engineer to identify and locate an interference source in just hours. The FiberChek probe delivers an "all-in-one" handheld solution for all of today's fiber inspection needs. 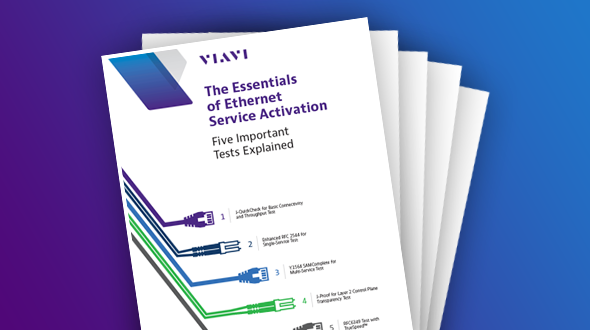 Viavi's test and measurement tools have been designed, developed, and tuned to deliver the performance your network demands. The T-BERD 5800-100G is the one tool network technicians and engineers need to install and maintain their networks.